In the minds of children, there are no limits to what the ideal car of the future might be. 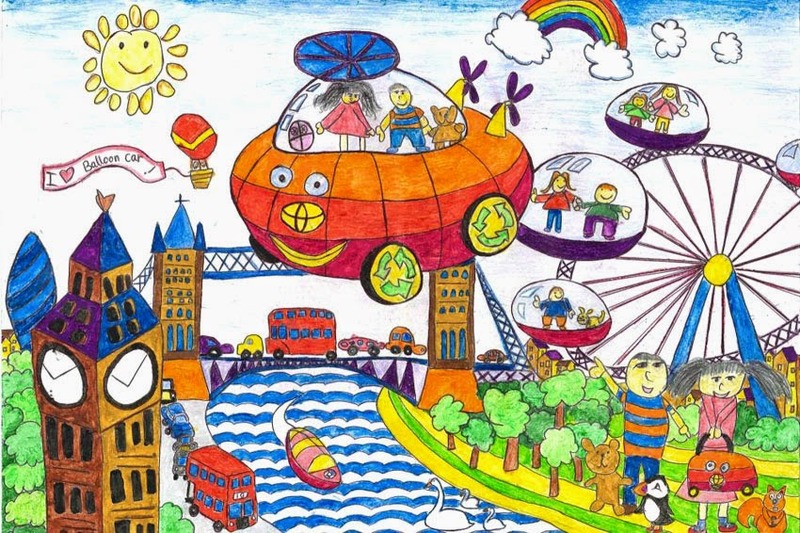 Toyota is once again inviting youngsters to let their imagination run free in its ninth annual Dream Car Art Contest. competition, which always produces a rich mixture of colourful creativity and ground-breaking ideas. Whether it's edible chocolate seats, engines that run on recycled rubbish, or machines that can fly and sail as well as run on ordinary roads, the possibilities are endless. Toyota recognises that today's children are the car drivers - and the vehicle designers and engineers - of the future and sees the contest of way of encouraging young people to think about the role the car can play in their life, and in society in general. All children need to do to take part is to draw or paint their dream car, complete with a cool background to show what it would look like on the road. The artwork should be accompanied with a short explanation of how the car works, and what makes it the best in the world. Submissions must be hand-drawn or painted, not produced on a computer. Paper must be either A3 or A4 size. There are three age categories - under-eight, eight to 11-years and 12 to 15 years; entrants must live in the UK. Prizes of an iPad are on offer for the winners of each category, as well as qualification for the worldwide competition. World finalists will have the chance to take the trip of a lifetime to the global prize ceremony in Japan in 2015. Entry forms can be downloaded and more information, including previous winning designs and full competition terms and conditions, can be found at the Dream Cart Art Contest page at www.toyota.co.uk/dream-car. The closing date for entries is January 5, 2015.